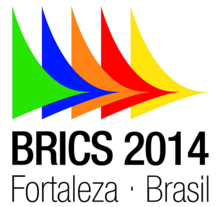 1) BRICS Summit 2014 concluded: 6th BRICS Summit was held in Fortaleza, Brazil on 15 July and 16 July 2014. The theme of the Summit was Inclusive Growth: Sustainable Solutions. During the plenary session on 15 July 2014, the participating countries Brazil, Russia, India, China and South Africa jointly issued the Fortaleza Declaration. One of the major developments of the summit include declaration of New Development Bank for BRICS countries. The BRICS Development Bank was due to be inaugurated and Shanghai was selected as its headquarters. Argentina was this year's special invitee for the summit. 2) India to host IBSA Summit in 2015: India will be hosting the 7th IBSA (India-Brazil-South Africa) Summit in 2015, it was announced following a meeting between Prime Minister Narendra Modi and South African President Jacob Zuma in Brazil on Wednesday. The two leaders met on the sidelines of the interaction between the BRICS leadership and leaders from Latin American countries. It was also decided that New Delhi would also be hosting the India Africa Forum in December this year. IBSA is a trilateral initiative amongst India, Brazil and South Africa “to promote, inter-alia, South-South cooperation and exchange”. 3) Malaysian aircraft MH17 shot down over Ukraine: All 298 people on board a Malaysia Airlines plane were killed on Thursday after the jet was shot down by terrorists" over war-torn eastern Ukraine near the Russian border, nearly four months after the mysterious disappearance of MH370 in the Indian Ocean. The Malaysia Airlines Boeing 777 was flying from Amsterdam to Kuala Lumpur carrying 280 passengers and 15 crew. Malaysia Airlines confirmed that it received notification from Ukrainian Air Traffic Control that it had lost contact with Flight MH17 at 1415 GMT (8:45 IST) at 30km from Tamak waypoint, approximately 50km from the Russia-Ukraine border. 4) Malayalam Film Director J Sasikumar passed away: Ace director J Sasikumar, referred to as the first "hitmaker" of the Malayalam film industry died on Thursday at a private hospital here, his family members said. He was 86. Mr Sasikumar, who was born N Varkey John, was suffering from age-related illnesses. His first film Kudumbini came in 1964 and his last film was Dollar in 1993. He holds three world records: the records for most number of films (141), most number of films having the same actor as hero (Prem Nazir in 84 films) and the most number of films directed in a year (15 films in 1977). 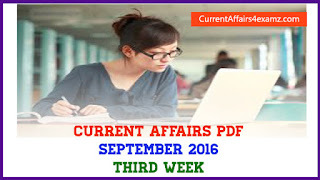 5) India has 3rd-highest number of HIV-infected people: UN- India has the third-highest number of people living with HIV in the world with 2.1 million Indians accounting for about four out of 10 people infected with the deadly virus in the Asia—Pacific region, according to a UN report. The report by UNAIDS, the United Nations programme on HIV/AIDS, said that 19 million of the 35 million people living with the virus globally do not know their HIV—positive status and so ending the AIDS epidemic by 2030 will require smart scale—up to close the gap. 6) Germany Takes No. 1 Soccer Ranking: Germany climbed to No. 1 in the FIFA rankings Thursday after winning the World Cup. Germany beat Argentina 1-0 on Sunday to win its fourth World Cup and first in 24 years. It replaced deposed champion Spain at the top of the monthly FIFA rankings. Argentina jumped three places to the No. 2 ranking and the Netherlands soared 12 spots to No. 3 after beating host Brazil in the third-place game.